The Ann Arbor Downtown Development Authority had the vision to see sober housing and recovering people as an asset to Ann Arbor’s downtown rather than a liability. 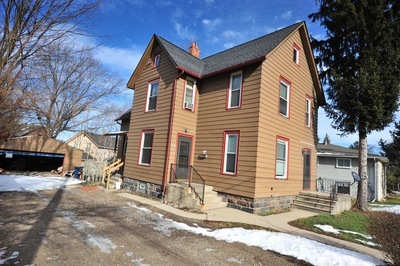 The Ann Arbor DDA has recognized the value of Dawn Farm’s transitional housing program throughout the years and has offered its assistance, channeling money from its housing fund. In 2001, the DDA granted $135,000 to help Dawn Farm outright purchase its first two houses, including the house it had rented on Chapin Street. In 2007, the DDA granted the agency another $45,000. Again this past month, the DDA approved a $150,000 grant that will help Dawn Farm pay down some of its debt and turn its attention to further expanding transitional housing services in Ann Arbor. Balmer said the goal is to get up to 200 beds this year. The money from the DDA will help pay down the agency’s long-term debt on transitional housing sites at 343 Beakes St. and 324 Summit St. Both properties are within a quarter-mile of the downtown district boundary, which is the rationale the DDA uses when giving out grants. DDA officials said Dawn Farm’s transitional housing serves people who, in many cases, are downtown employees and users of the downtown. Balmer first made the grant request to the DDA in September, saying assistance from the DDA over the years has been especially helpful in light of diminished funding from other sources.